Stevens Institute of Technology deploys unique learning technology and a one-of-a-kind curriculum to deliver an absolutely unique education — one that gets results. Stevens Institute of Technology is a student-centric research university, with technology at its core and the student experience always in mind. We believe research and technology hold the keys to the solutions of the pressing challenges in fields as diverse as finance, defense, medicine, urban planning and national infrastructure. Stevens educates more than 6,800 undergraduate and graduate students annually, employing more than 380 faculty in four academic divisions offering more than 30 majors. Use the interactive program finder to view academic programs available at Stevens. 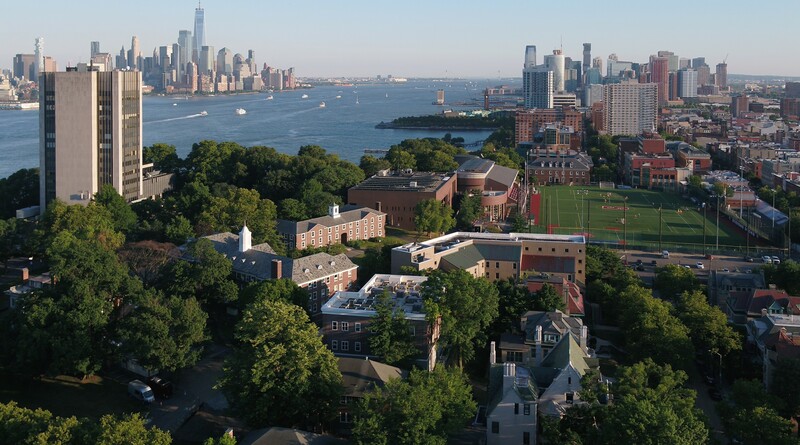 Stevens' academic programs are organized within and delivered by three distinguished schools and one college focused on engineering & science, systems thinking, business, and the humanities. With nine departments and 50 academic programs, the SES maintains a rigorous commitment to preparing the next generation of technology leaders by offering a multi-disciplinary, design-based education. The School of Business, which is accredited by AACSB, offers seven undergraduate majors, nine master’s programs and a doctoral degree. Graduates of business programs at Stevens are prepared to lead people, projects and technology policy at companies in any industry. SSE offers three undergraduate majors, two minors, seven master's programs and three doctoral degrees – all of which focus on the key core areas of systems and software engineering, and enterprise science and engineering. The College of Arts and Letters is devoted to traditional humanities and liberal arts education and research as seen through the lens of science and technology. The College of Arts and Letters offers nine undergraduate programs, one master's program, and a graduate certificate in Policy and Innovation. Use this program finder to search academic programs at Stevens. You may search by degree, program, academic department or keyword. Stevens offers a wide variety of graduate and certificate programs online, including the MBA and degrees in data, software, systems and mechanical engineering, cybersecurity, space systems and pharmaceutical manufacturing. Stevens' Center for Corporate & Professional Education (CCPE) creates and manages customized learning programs on-site and on our New Jersey and Washington, D.C. campuses for a wide range of Fortune 500 firms, government agencies and public and private laboratories. Faculty and student research, with an eye toward application and entrepreneurship, are integral to the Stevens experience. Our research enterprise regularly produces new technologies, intellectual property and business ventures. We are robustly support by NSF, NIH, AFOSR, DoD, NSA and other public and private research funding agencies and sources. Stevens Provost and University Vice President for Academic Affairs Christophe Pierre is the second-most senior officer of the university. He is responsible for the academic integrity of the institution, for all programs and administrative offices related to the academic enterprise, and — in consultation with faculty, officers and trustees — for long-range academic strategic planning, resource allocation and new initiatives. Dr. Christophe Pierre, Provost and Vice President for Academic Affairs, is an accomplished academic administrator and an internationally acclaimed scholar in the fields of vibration and structural dynamics. During his 30-year career in higher education, he has held leadership, administrative and academic positions at major research universities, made seminal contributions in many areas of mechanical and aerospace engineering and won numerous honors for teaching and research.